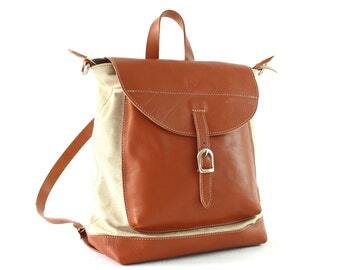 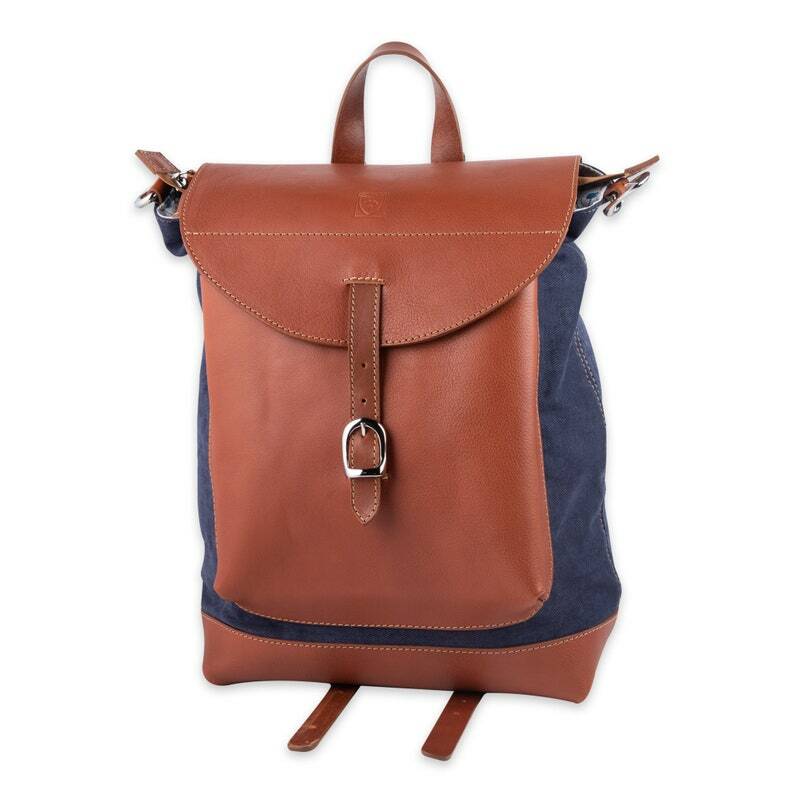 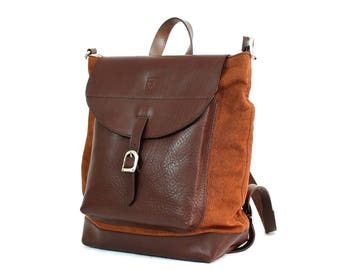 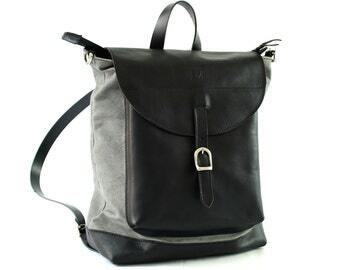 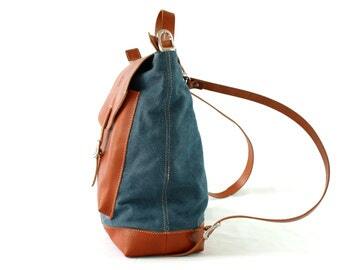 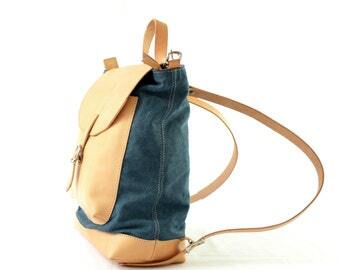 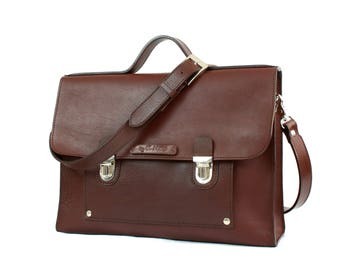 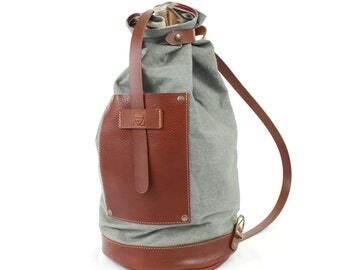 CONVERTIBLE BACKPACK PURSE in 100% tuscan full grain leather and natural canvas! 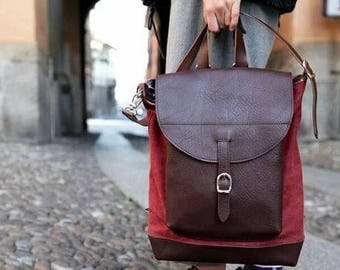 It is unique in the world and 100% made in Italy! 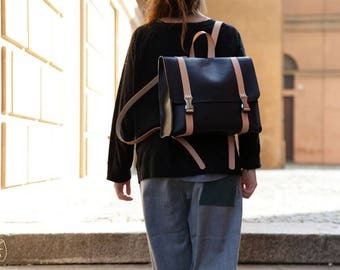 It's a very elegant bag and at the same time a comfortable backpack thanks to the clever use of carabiners and buckles that make it easy to bring it both shoulder, crossbody that rucksack. 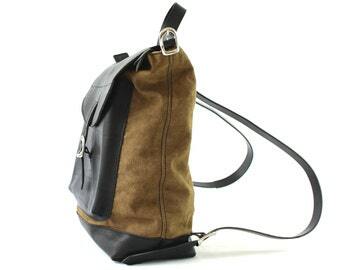 A different style every day! 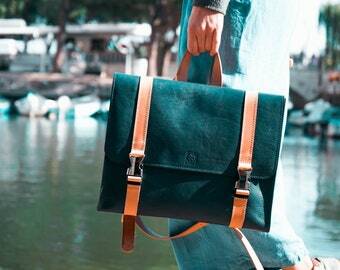 Choose your personal one.